Recently Harry Glück received the Gold Medal for Service to the City of Vienna. 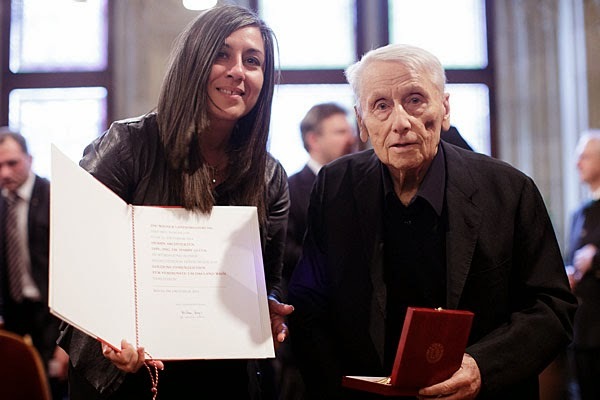 Thus, the City of Vienna honors the lifetime achievements of an architect who planned 18,000 homes throughout his career, 16,000 of them in Vienna and most of them in the context of social housing. He is one of the most controversial architects in Austria. Multiple polls cinfirm that people like living in his buildings and that these buildings represent a high quality of life for the residents. A Contradiction? That was interesting for us and that's why we chose him as one of the protagonists who appears in "The Wounded Brick".